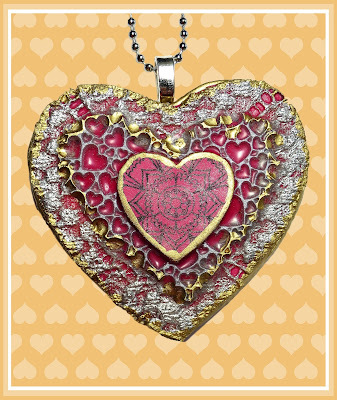 Today, Patricia Krauchune shares this fabulous pendant created using the January "Love & Lace" Create Along Box! 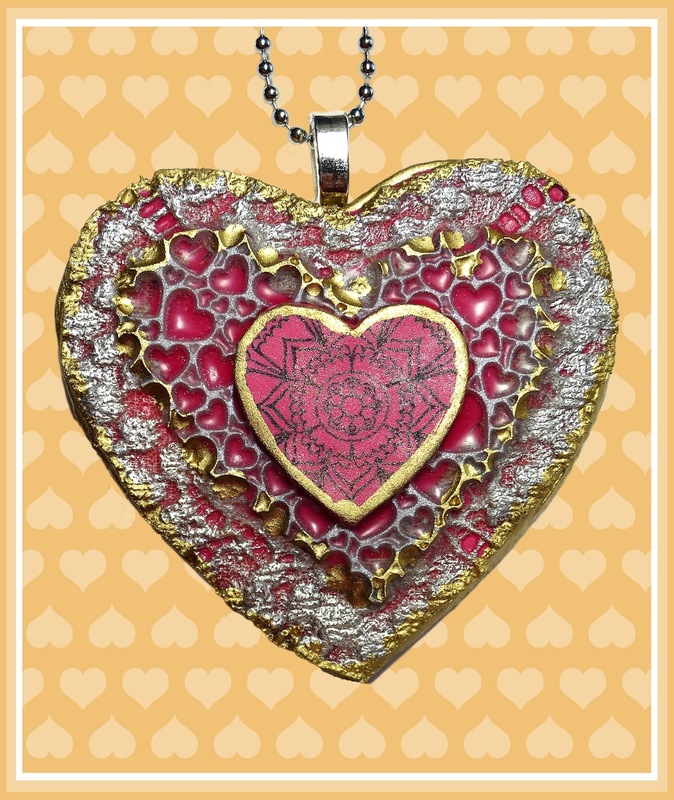 Pat used the heart cutter, vintage lace, and the heart pattern on the Magic Transfer paper included in the Love & Lace box. The box also included shimmering pink mica powder, a silkscreen, and a brand new item offered by Create Along - a Deco Disc! Pat used Sculpey® Souffle polymer clay, as well as clear and silver liquid polymer clay. Learn more about the monthly Create Along box here! AND - there are a limited number of the amazing Love & Lace January Create Along Boxes still available! Order yours here.